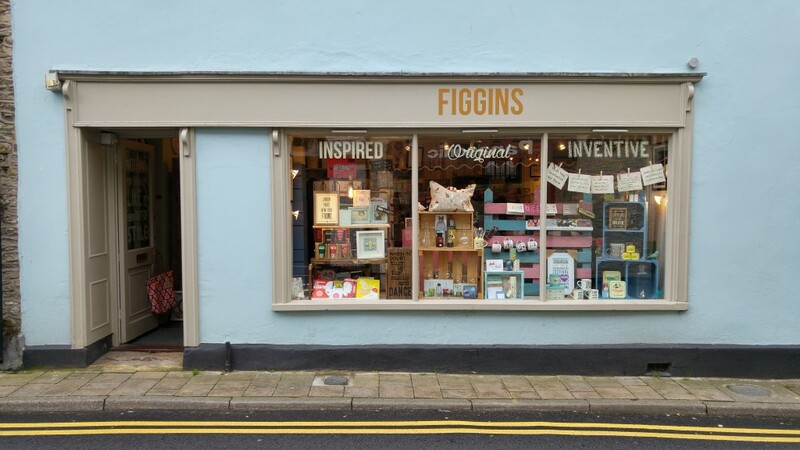 We talk to Sarah, who together with Robert, owns and runs Figgins in King Street. I have been a gift shop owner since I was in my twenties (which seems like a long time ago) and Robert is a writer and History teacher as well as now being an enthusiastic shopkeeper. Figgins is coming up to its first birthday, which is really exciting. I have always been passionate about gifts and retail. I used to manage a gift shop when I was in my very early twenties and when the opportunity came up to purchase the shop, I jumped at it. I absolutely love seeking out items which are a bit ‘different’. I enjoy gifts that have a purpose, that are well designed and are aesthetically pleasing. I love cards too but I prefer cards that are quirky and often ever so slightly subversive. One of the things we do at Figgins is to seek out lovely items that are affordable. Our customers are constantly surprised when they pick something up that doesn’t cost as much as they might have thought. It’s a great feeling when people tell us that they love what we do – and the prices! We use a wide range of suppliers for our goods and we try to use small companies where we can. This sometimes gives us access to unique, handmade items that are not sold anywhere else. We are constantly searching for innovative items and we pride ourselves on the fact that everything in Figgins is carefully chosen, because we love it. Why did you decide to set up shop in Frome? When I met my husband, he was already living in Frome and having moved here myself, I soon realised it was a perfect place to relocate my business. We looked at quite a few properties as there were several empty shops at the time but we fell in love with the King St. shop. We knew as soon as we went it in that it was ‘the one’. The size was perfect and we love the location, being so close to a large car park and located on a flat road which makes it very accessible. King St. has fantastic footfall and we love it here. It was definitely the right decision. 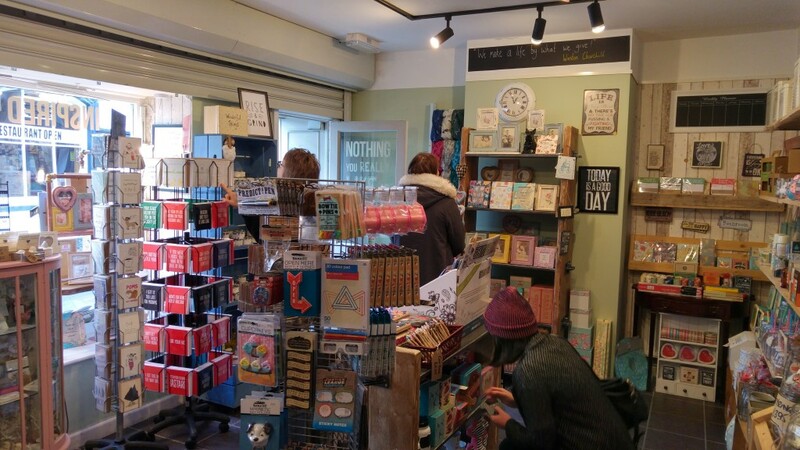 Frome has a hugely diverse selection of independent shops and I thought that our brand of eclectic gifts and cards could slot in well among the other established shops here. Every shop has its own identity and we all offer something a little bit different. Frome is a fantastic place for shoppers to come if they are looking for the unusual and more and more people are discovering this unique town – and enjoying it. From my own point of view, this is the most fun I have ever had in retail. We live centrally so I can stroll to work, picking up a coffee from The River House on the way. It’s a lovely start to the day. I used to have a 45 minute commute to work and I don’t miss that one bit. The response to Figgins has been more than we could have hoped for. I know from experience that it takes time for your business to become known when you move to a new town, and every day people come in not knowing that we were there. But the gratifying thing is how many people come in through recommendations. We have lots of lovely regular customers already and we have received great feedback as well as good ideas about other lines we could stock that people can’t find in Frome already. We welcome suggestions from our customers about items that they would like to see on our shelves. What piece of advice would you give someone choosing to take the next steps in starting or growing a business? I think for me, the main thing is to know what sort of shop you want to be. keep it simple. You can’t be all things to all people. Also, not everyone is going to love what you do and you shouldn’t take it personally. I think you have to really love retail and you have to love your products. I would find it very difficult and would get absolutely no job satisfaction from selling items that I would not buy myself. It takes time, especially in a new town, to become established and to know what sort of items will sell the best in that particular location. Just try to offer great customer service and enjoy every day! What networking opportunities would you recommend? My best networking opportunities have come from talking to other local business owners in Frome. On the whole, the business community is very friendly and has been exceptionally welcoming. Social media has helped enormously in establishing connections, as well as helping new customers find us. It’s always interesting to chat to other shopkeepers in the town centre. I have been given lots of good advice from shop owners with well established businesses here, which is much appreciated. What’s your favourite thing about Frome? We love so many things about Frome. There is always so much going on here and a real sense of community. Living so centrally, we are spoiled for choice for where to go for a drink or a meal, although the River House for coffee and breakfast as well as a sublime evening cocktail, and the Thai Kitchen for their incredibly fresh flavours and friendly hosting, are our favourites. We have enjoyed many a night at Castellos, sampling their delicious Italian dishes, the new curry house, River View, is just down the road and has a very innovative menu and the monthly pub quiz at The Three Swans is always a highlight. We also love the Westway Cinema and have seen many films there, gin and tonic in hand. We are both huge Hunting Raven fans. It’s such a fabulous traditional bookshop with friendly and knowledgeable staff. The Town Council are doing a fantastic job (as evidenced by their recent award). They promote Frome and do their best to make it a better place for the residents. They do a great job at supporting small businesses and are constantly coming up with new ideas and initiatives for the town. We are greatly looking forward to our first birthday and our second Christmas in Frome. We’re hoping to be open last year in time for the Frome Extravaganza but missed our deadline so we are excited to be a part of it this year. We have small business Saturday to look forward to as well as the late night shopping event and we will be open on Sundays throughout December. 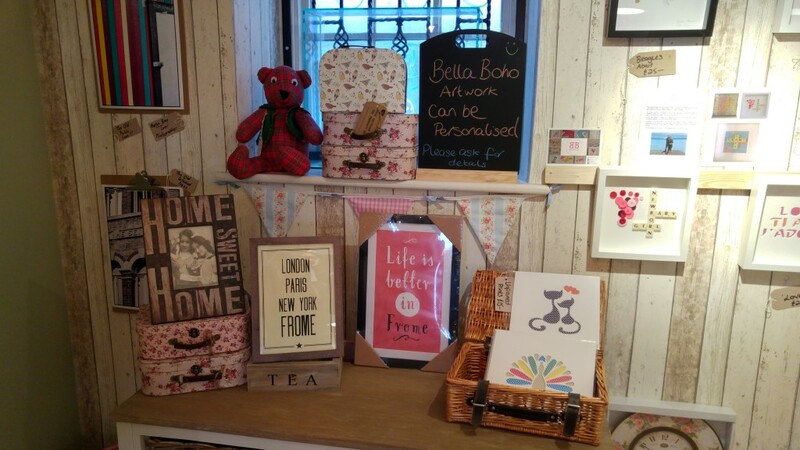 Do you run a business in Frome? If you’d like to be featured please get in touch.